Debatable not relatable; the angry riposte of teenage angst. This is how it starts. 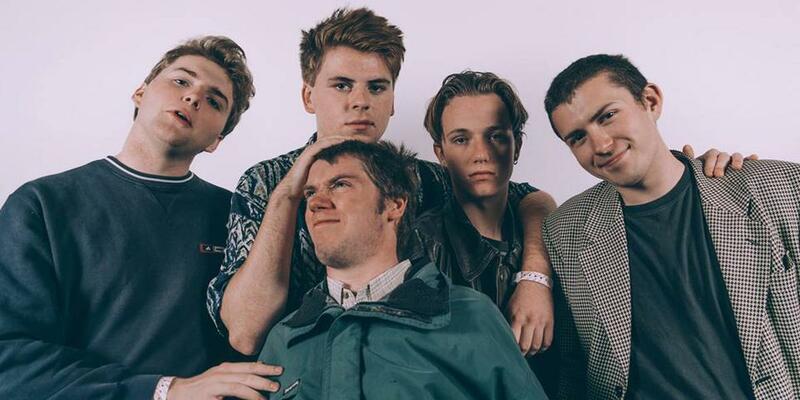 Youth and anger have always been a heady combination, and London five-piece Shame are no exception. These brash post-punks wield their instruments like weapons and turn teenage angst into venomous, pointed lyrics that are mature beyond their years. Fast becoming one of the most watched and talked about bands in the capital, thus far they’ve blazed a trail through pubs and clubs in a cloud of controversy, noise, and occasionally violence. Touring with Fat White Family might have informed their sensibilities, but don’t be fooled into thinking they’re all brawn and no brain. Politics and the state of society are just one touchstone for the band; more than anything, they want to stand for something, to no longer remain passive, and they suggest you do the same. Avid supporters of the Remain campaign and London Mayor Sadiq Khan, they’ve spoken about their attempts to make their gigs “safe spaces” and how, in their eyes, disagreement is fine; as long as you leave entertained, they’ve done their job. And with tracks like the rollicking, Jack-booted anthem ‘Gold Hole’ and the arch, poised ‘Angie’, that hasn’t proved much of a problem. The passion that drives them on is as obvious as it is infectious, and few bands start out as savvy. With a huge European tour announced, and more dates to come, 2017 is set to be their year; the “establishment” might see them coming, but there’s not much they’ll be able to do to stop Shame’s march to greatness.